As much as the discussion about patient engagement relates to how tricky it is for doctors, just imagine what it feels like for the patients. "Doctors have to remember that their patients are people, not disease states," said Kym Martin, a patient opinion leader and four-time cancer survivor. 'Patient' is simply a context label used to understand a person's role in the system. 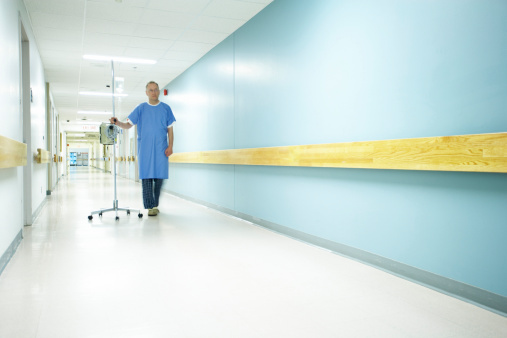 'Patient experience', however, is an experience so few people voluntarily choose or enjoy." Martin goes on to say, "Doctors today need to see patients as the multi-dimensional people we are and respect that the last place we want to be is in their exam room." Martin, whose vast experience with healthcare helped her launch the Patient Experience Council and found 360 Degree Insights, and Gary Pinder, a consultant who's lived with multiple sclerosis for nearly two decades, will offer their insights on the patient engagement conundrum in separate keynotes at the HIMSS Healthcare IT News Patient Engagement Summit this month in San Diego. Both agreed that the doctors must look beyond the long-held belief that they have to be in charge of the encounter. Forget being the medical expert with all the answers, and start thinking about healthcare as a collaborative effort. And that begins with the understanding that the person on the other side of the conversation has a unique outlook and experiences that could very much affect how care should be delivered. "Blur the lines of authority," Martin said. "Patients are also experts in conversations about their health." Pinder wants doctors to be more creative, and to see healthcare as a series of options rather than commands. Collaborate with patients, he said, on a care plan that appeals to them and meets whatever motivations they have. Pinder wants doctors to be more creative, and to see healthcare as a series of options rather than commands. Collaborate with patients, he said, on a care plan that appeals to them and meets whatever motivations they have. For Pinder, that first motivation was walking at his daughter's high school graduation. That gave his doctors something very personal to acknowledge and work with. And now that he's reached that goal, he's set new horizons – walking at his son's graduation next spring, and then walking down the aisle at his daughter's wedding. "We all have it somewhere, some force of life that keeps us going," said Pinder, who calls these motivations "forcing functions." It's up to the patient to discover them and use them, and it's up to the doctors to understand and encourage them. Martin said the patient "needs to own their care" – as does someone with a chronic condition, who might no longer be an active patient but instead exists outside the healthcare system and intersects with it on a regular basis. She says that her cancer diagnoses were acute events and that life as a cancer survivor is much like managing a chronic illness. "Preventing or prolonging any future diagnoses requires daily self-care and proactive monitoring with the help of my clinical team", Martin explained. In either case, Martin said, doctors need to recognize the value in collaborating and "aligning clinical workflows with patient life-flows." One won't work without the other. Register for the Patient Engagement Summit here. The event takes place Monday and Tuesday, Oct. 12-13, at the Manchester Grand Hyatt in San Diego.